The target audience for an IHE profile is the entire care delivery network. This especially includes the jurisdictional governance entities that are tasked with operationalizing plug-and-play interoperability between disparate network participants. 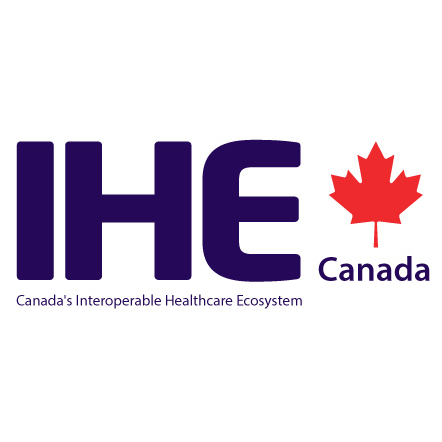 IHE is focused on taking digital health interoperability to scale and to mitigating the risks inherent in such an effort. What is the IHE Community? The IHE Community is a place where health care professionals and the health information industry collaborate to improve the way health care technologies and systems share information. Cheap... Flexible... Interoperable... choose 2. YIKES!! i sure do agree with your last points, Lloyd. Leadership is everything! Lloyd -- thank you for these thoughtful responses! And yes, I'm happy to see that we separately teased out some nearly identical points regarding governance. I wonder if you could clarify a few of your points, please. I'm especially unclear regarding your assertions related to FHIR extensions. I do not dispute that there are technical differences between FHIR extensions and HL7v2 Z-segments -- and that these are important improvements. We agree, too, on the fact that they are essential; that's how we will develop a CA-Core, for example. What isn't clear is whether, in your view, a proliferation of FHIR extensions will undermine interoperability... and in this way, create the same "functional" challenge that Z-segments did. We agree -- "There is a place for governance, but there is also a place for flexibility." I think, however, that the role of governance is to ensure interoperability... and that this will likely include curtailing the proliferation of extensions that might otherwise occur in the absence of governance. Do we agree on this point, too... or not so much? Lloyd, you make excellent points about the technical value of a base+extensions approach vs. a maximal+restrictions approach. I like that approach, too, and for the same reasons you do. I also think I deserved to be called out for focusing on only one of Grahame's 3 laws -- especially when he bluntly stated that it's all about people, not technology. That's probably at the heart of my concern. Our problem in Canada wasn't (only) that we had the wrong wire protocol -- so how can a new one be the (only) solution? I'm curious to know what you think needs to be done so that FHIR... or anything else, for that matter... can go to scale and operationalize broad digital health interoperability across our Canadian care delivery network? It's good that we're aligned on some key aspects of the governance piece. FHIR isn't trying to diverge from a model-based approach. What it is diverging from is two parts of the v3 methodology: 1. Having the modeling be part of the learning curve for the developers. (We want to keep the learning curve for those who need to build interfaces as low as possible.) In v3, the schemas and element names were directly driven by the RIM, which resulted in complex structures and non-intuitive names which acted as a barrier to uptake. We want a specification that a healthcare implementer with no HL7-specific training can look at and say "Yeah, that makes sense, I can do that". Neither v3 messaging nor CDA met that objective - and thus there was minimal uptake except where there was a top-down push. 2. Design-by-constraint doesn't work. V3 took an approach where the core specification tried to include everything that anyone might need with the notion that the specification would be tightened down as it got closer to the implementation space. The result was that design took way too long (it's hard to get consensus on 'everything' when new use-cases keep coming to the table) and the resulting artifacts were inevitably both too restrictive (causing different jurisdictions to introduce variations the broke compliance) and too abstract/flexible (resulting in different implementers solving the same problem by different mechanisms. FHIR certainly has a lot of flexibility built in, but not around the 'common' stuff. If you tell 3 different implementers to share allergy information and give them the v3 RIM (or the base CDA spec), you'll get wide divergence and minimal interoperability. (And they probably won't like you very much after trying to wade through and understand the spec.) On the other hand, if you give them the same task with the FHIR specification, they'll be a lot happier, a lot faster, and what they produce will interoperate a lot better. They might not all have exactly the same capabilities (some might capture reactions and severity, others might not) or use the same code systems, but at least when they're sharing the same information it'll be in the same data element. That's a huge step forward. The v3 RIM still underlies most of the FHIR resources. (Some resources such as StructureDefinition and ValueSet don't live in "RIM-space", so the modeling is still there. But it no longer gets in the way of providing a specification that's intuitive to implementers and the resources are tighter in ways that drive more consistency. Of course, "some consistency" isn't necessarily "enough consistency". FHIR dictates pretty strict expectations around some things (e.g. vital signs) but is a long way from trying to standardize every CBC, care plan or protocol. Realistically, we'll never standardize everything because we don't have consensus and/or the space evolves too quickly. We can, however, increase the standardization of the highest value pieces - and we can often standardize those in a use-case independent way. We can come to agreement that we're going to use CCDD for drug codes and SNOMED CT for condition and allergy codes and define where "health card version" should be sent without necessarily limiting the scope of those decisions to just "shareable health record" or "decision support" or "disease registries" or anything else. There will of course be additional expectations driven by those use-cases, but hopefully we can get sufficient alignment that an EHR could expose a single interface that meets the SHR, CDS and registry requirements. David -- thank you for this! You're right, of course... ideally we would all love to be able to get all 3 at once and it does feel, a bit, like we're being asked to make a false choice. I fear there is a bit of persistent naivete, though, around how difficult it is to get both flexibility and interoperability. To get that, we need to be able to leverage an underlying information model (e.g. HL7 RIM... or OpenEHR's RM) to develop our data exchange models. We tried this approach. It proved not to be "cheap"... software developers needed to traverse a non-trivial learning curve before they could understand how (for example) the HL7 RIM works. Of course... software tooling can help address this (as it has with FHIR). But we bailed on the whole model-based notion once the Americans had decided it was "too hard". They were (largely) our software providers, after all. My gut instinct is that we'd need to embrace an underlying information model before we could operationalize Postel's law. If we were strict about being model-adherent... then any model-adherent message (even if I'd never seen the exact message schema before) could be ingested by a receiving system. In terms of being flexible enough for clinicians to get value out of the SHR, I think we may disagree. I think that we need to develop CA Core so that clinicians get value out of the SHR. This should, in my view, be the most scope-defining engineering constraint on the whole of that effort. Frankly, my biggest fear is that we'll back away from a Canadian vision based on broad interoperability. This is totally doable from a technical standpoint. Our challenge is sociotechnical, not technical. Our biggest challenge is governance... and governance is hard. We may find we've disassembled some of the "collaboration-supporting" infrastructure we will need to achieve consensus and go to scale with it. Hi Derek, Some thoughts on your post 1. FHIR extensions have several important differences from v2 Z-segments: FHIR extensions are named in a globally unique way by a URI, so you don't have to wonder whether my ZPA.2.5 means the same as your ZPA.2.5 FHIR extensions are discoverable. If you receive an instance that contains an extension, you MUST have access to the formal definition of the extension. (If not, the sender is non-conformant.) In v2, the only way to find out what the elements in a Z-segment mean is to phone the interface analyst at the hospital that sent the message (and sometimes not even then :( ) FHIR extensions do, in fact, have formal definitions, which means there's a formal description of what the extension means, what the allowed values are, what other constraints exist, etc. FHIR extensions can appear where they need to, not only at the segment level. That makes it possible to extend names, identifiers and other complex structures that v2 provided no easy way to manage other than by trying to link equivalent repetitions FHIR has a solid registry infrastructure that makes it much easier to discover extensions that already exist and consolidate on the use of existing extensions rather than always inventing new ones FHIR has a robust profiling infrastructure (and starting to be decent tooling) to allow authoring of profiles that dictate what extensions are expected to be supported in particular context and where and when they must appear, which makes the process of governing the use of extensions much better than it was in v2. Extensions are not a panacea. They can be (and in places, are being) abused. They certainly allow for undesirable divergence. However, they're also essential. Without extensions, it becomes necessary to include everything in the core model. This results in a huge amount of bloat. Canadian developers don't want to wade through address parts designating "house boat across the street from" nor to have to google what a "hijri" date is. Extensions allow the core specification to be limited to those elements that most systems need and, through a profiling framework, to also standardize the more region-specific/discipline-specific/organization-specific requirements in a way that doesn't impose a cost on everyone else. 2. There is a place for governance, but there is also a place for flexibility. One of the nice things about FHIR is that it's much more amenable to agile development approaches. You can easily start sharing new data elements that not necessarily everyone in the interoperability community supports yet. And you can do that without breaking existing receivers. The narrative view ensures that any 'key' information is available to the consuming clinicians, while permitting participating systems to migrate to supporting the new discrete element in a time-frame that works for them. This elimination of the need for single "big bang" migrations (and the corresponding difficulty that results in supporting new features or diversity of use-cases) is one of the biggest benefits to FHIR's single-schema with extensions approach. 3. We've seen, through the v3 experiment, that standardization that's solely driven by top-down governance doesn't fly well. There's a need for a mixture. Yes, we need projects like US-Core, CA-Core, as well as more specific projects in areas like registries, diabetes, etc. to increase consistency and agree on requirements for interoperability in a specific space. But those won't always start at the pan-Canadian level. And there needs to be room for innovation at the jurisdictional and individual software product level because if that room isn't present, it'll be forced in - generally at the price of interoperability. 4. One of the design points for FHIR is that, as much as possible, it should be possible for systems to expose a *single* FHIR interface that meets the needs of multiple consumers. Systems consume the data they require and ignore the data they do not. This reduces maintenance costs because rather than having a separate API for each jurisdiction/use-case/etc., the software only needs to write code to expose its internal data store once. This reduces overall implementation costs, increases uptake and increases responsiveness of implementers to new requirements (because new requirements no longer come with the baggage of creating, testing and forever maintaining another separate interface). This design point does, however, reflect a significant change for specifiers. Specifiers are often used to locking down interfaces to exactly what they want - and only what they want. It means baking in the flexibility of allowing additional data to be present and defining the mechanisms to extract the data needed from within a broader collection. 5. I do agree that there's a need for governance. FHIR allows the same problem to be solved in multiple ways. It carries with it the benefit that even if solutions have different architectural approaches (e.g. REST vs. documents) the underlying data is typically at least easily portable. However, true interoperability does require a governance process that allows the community to say, "This is the architecture and the set of minimum data elements we agree to exchange to solve this problem". Good governance is hard. One of the other 'laws' Grahame has talked about in his past posts is that interoperability isn't a technical problem, it's a people problem. There's a need for people to agree and, even harder, there's a need for people to agree to change and to incur costs for the broader benefit of interoperability. One of the things FHIR did from the outset was to try to improve governance processes within HL7 to help ensure that the principles underlying FHIR were adequately reflected in the work coming out of the different HL7 work groups. The result hasn't been perfect, but it's certainly been significantly better than what HL7 has been able to produce with past standards. In terms of implementation guides, the governance and quality processes are still very much a work in progress. A significant challenge for us in Canada is figuring out how to ensure that there's similar good governance in place for the standardization work that needs to happen in the Canadian space. Infoway isn't as strong as it once was from a leadership capacity. We've lost several of the governance structures that would allow us to formally declare something is a "Canadian standard". More importantly, we don't have a deep and broad set of the implementer community engaged and paying attention and providing feedback in a way that would allow us to feel confident in both the implementability and the probability of uptake of any specification that we were to declare a "standard". In the U.S. they have a mixture of Argonaut (bottom-up, vendor led) and ONC (top-down, government imposed, though vendor influenced) that addresses this governance need to some extent - though in a far from perfect manner. In Canada, we don't really have anything that's national in scope with the same investment, influence or degree of involvement. The U.S. is actually doing a pretty good job of not abusing extensions and ensuring consistency of approach across implementation guides. If we don't figure out how to do the same in the Canadian space, we're not going to get nearly the same benefit out of the capabilities FHIR offers. The Canadian FHIR® Registry supports collaborative development in an effort to accelerate sustainable growth of FHIR, locally and internationally. The registry will be the home of national FHIR profiles recommended for use in Canada, including extensions, value sets, URIs and other useful, commonly used components. It is also host to a growing number of national, jurisdictional and locally shared FHIR projects, and is open to all Canadian implementers. The Canadian FHIR Registry blends software development best practices with the requirements of modelling in FHIR, essential to delivering successful project requirements while having continuous access to structure validation, rendering and publishing. The Canadian URI Project is a repository of identifier and code system namespaces. Capturing key metadata as FHIR® NamingSystem resources provides an automatic mapping of OIDs to URIs or vice versa. To make the discovery of these artifacts more flexible, the Canadian URI Registry (alpha) was developed to allow artifacts to be queried via plain text, OID, URI or their respective identifiers. These identifiers are created according to the URI guidelines and posted to the FHIR Solution Architecture Workstream for approval. It is important to note that all searchable artifacts are to be curated via the Canadian URI Project in Simplifier. There are ongoing discussions with the FHIR Solution Architecture Stream to have a single representative manage data for their respective jurisdictions. A scheduled task is run periodically, making all new or modified artifacts searchable after a 20 minute window. FHIR Terminology Service APIs enable automated exchange of clinical terminology content and resources. It allows developers to easily implement healthcare applications that programmatically consume codes and subsets without requiring in-depth expertize in the fine details of terminology. HAPI for HL7 v2 messages is an open-source, object oriented HL7 v2.x parser developed for the Java platform. Infoway HL7 Explorer is a powerful browser for HL7 v3 structures, vocabulary and references. Used in conjunction with the pan-Canadian releases, HL7 Explorer makes locating details and information more efficient. In November 2017, the Canadian HL7 InfoCentral community determined that there was no longer any need to do further updates to the pan-Canadian Version 3 messages. As a result, the December 2012 releases of MR02.06.01 and CeRx 4.4.2 are the latest pan-Canadian publications of these standardized messages. The HL7 Explorer, the Master Terminology Worksheet (MTW) and all other messaging related artifacts are aligned with the latest releases. Learn about the features HL7 Explorer: search once, graphical representation, quick hints, etc. InfoRMS (Infoway Request Management System) is Infoway's Request for Change Tool for SNOMED CT, pCLOCD/LOINC and pan-Canadian Subsets. Not sure if you have access to InfoRMS? Manage your InfoRMS Access in your user profile. Infoway Message Builder allows developers to focus on the business challenges of integrating their solutions with each electronic health record implementation by abstracting the differences between different versions of pan-Canadian HL7 messaging and supporting current implementation constraints. Developers can build interfaces in a familiar development environment, using the programming language of their choice*, while the Message Builder API fosters quick and easy creation, population and access to HL7v3 requests and responses. Infoway Message Builder v2.0 and later is enhanced to generate JAVA APIs to create, validate, marshal/unmarshal CDA documents. Can be embedded in software applications due to its open source distribution under a commercial-friendly Apache 2.0 license. In addition, while developers can easily build custom transport mechanisms without affecting the core, Message Builder includes native support for SOAP and RESTful message transports. Developers can configure and extend the transport as desired. Provides the capability to configure and populate message values that are common to all messages—this allows developers to reuse common message data, shortening the time to configure and create an interoperable system. Uses simplified data types that are natural and familiar to the programming language (e.g. String for ST) rather than directly exposing the sometimes complicated HL7v3 data types—yet still allowing access to HL7v3 data types when necessary. Allows developers to focus on the business-aspect of a request/response, avoiding many of the complexities of HL7v3. Code-generation algorithms merge identical and similar classes together to simplify the generated API—meaning less confusion in the resulting code and an increased ability to write generic handlers for certain types. Converts populated objects into HL7v3 XML requests, and converts HL7v3 responses into populated objects. Provides flexibility in configuring and performing terminology-code lookups, including code set and database-backed lookups (can mix and match). Associations and attributes are strongly typed, given business names when provided, and contain code docs directly from the MIFs (see wiki.hl7.org/index.php?title=MIF). The algorithms inline most classes that only have a small number of properties, further simplifying the API. Offers both permissive and strict modes—permissive allows many common errors and generates appropriate error comments in the XML or result object. A separate validation tool is provided to test ad-hoc messages—this tool reuses the same validation components that are executed during message marshaling and unmarshalling, ensuring consistent processing of the message whether during processing or during conformance validation. The power of the Message Builder architecture is in its MIF-based generation of the specification API. With Message Builder, any MIF is supported—whether a future release of the pan-Canadian specifications or a modified (constrained) jurisdiction-specific release of an existing specification. Message Builder Runtime—an API used by developers to allow their products to support multiple Message Sets without recoding. Used by Infoway, Message Builder Generator takes MIFs (as the source of truth for standards specifications) and converts them into a series of Java Classes. This is done by first converting the MIFs to an XML Message Set (a simplified representation of the information present in the original MIFs), then generating Java Classes that reference standard Java data types and use business-friendly names. In the process, groups of related elements are flattened and similar message parts are placed into a single class: these steps increase ease of use and reduce the complexity of the resulting Java Classes. Using Message Builder Generator, Infoway is able to create multiple Message Sets, each representing the MIFs used in a single jurisdiction, but all for the same HL7v3 version. Message Builder Runtime allows developers to quickly adapt to implementations in multiple Jurisdictions: incoming messages are first examined to determine the corresponding source Message Set, once identified, a series of Java Objects that represent the message are instantiated. Next, the Java Objects are turned into an HL7 message for the HL7 version corresponding to the desired destination Message Set. Using Message Builder Runtime developers can accept messages over the wire and on-the-fly turn them into a different HL7 message version. Given the capability of Message Builder to support future versions of HL7 messages, developers can easily future proof their products with minimal effort. The Message Builder libraries are available for Java and Microsoft .NET. In addition, a simplified XML message format is available with REST-based services for managing mapping to/from the simplified form to the target specification XML format. Pan Canadian data types (MR 2.05). Clinical applications in JAVA or .NET can use the Message Builder CDA APIs to create, validate or parse above listed types of CDA documents. Potential use cases are document source or document consumer actors in IHE XDS profile, content creator/content consumer in any content module/profile, or report creator/viewer in RIS/PACS/EMR systems. Sample Message Builder Java project for HL7 v3 - includes all the required libraries of the latest Message Builder. Sample Message Builder .NET project for HL7v3- includes all the required libraries of the latest Message Builder. Sample Message Builder Java project for CDA - includes all the required libraries of the latest Message Builder. Sample Message Builder .NET project for CDA - includes all the required libraries of the latest Message Builder. one or more Message Builder API release(s)—depending on your implementation requirements. Terminology Service RESTful APIs enable automated exchange of clinical terminology content and resources. It allows developers to easily implement healthcare applications that programmatically consume codes and subsets without requiring in-depth expertise in the details of terminology. A WebHook is an HTTP callback. When new content is published in the Terminology Gateway, a publishing event will be POSTed to each registered WebHook, notifying their respective owners about the publication. "message": "Monthly CCDD update for October 2017"
"message": "PrescriptionMedicinalCode version reflecting the October 2017 CCDD update"
api_id: as previously mentioned, each notification POST contains the api_id granted at registration. base_url: the base URL for the native REST API endpoint of the originating system. This can be used to call back the Terminology Gateway via APIs in order to programmatically download updated content. notification_time: the timestamp of the WebHook notification in yyyyMMddHH:mm:ss format. targets: list of updated targets. Each entry in this array corresponds to a Terminology Gateway artifact (subset, codesystem, map, package) that was updated and is therefore subject to the notification. The target list will only include artifacts for which the user has registered to receive notifications. Users can register to receive notifications about content updates using the Terminology Gateway User Interface or by invoking the native REST APIs. "message": "Successful processing of the WebHook notification"
api_id: as previously mentioned, each notification response must echo back the api_id granted at registration. result: success if the web hook notification was successful, any other value will be interpreted as an error. When receiving an error as a result of a WebHook notification, the Terminology Gateway will retry the notification four times at 15 minutes intervals. If still unsuccessful after four notification attempts, the system will drop the notification and will notify the user by email that the WebHook couldn't be invoked. Parker Digital Health Consulting Inc.